Hola Amigos! Hope this month’s article finds you all well and living life to the fullest! 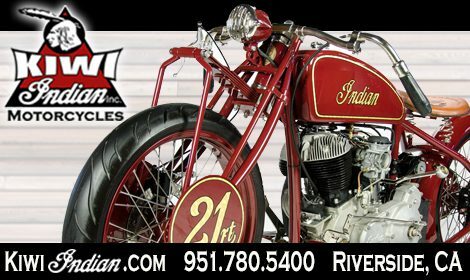 Well, we are in full swing for this year’s events and with Daytona Bike Week behind us, it’s time for the rest of the country to show what they’ve got to offer. 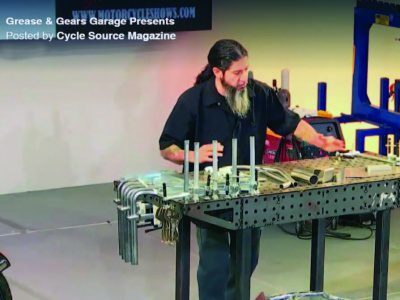 As I write this, the Cycle Source team has just kicked off Ohio Bike Week and from the sounds of it Chris and the gang have their hands full. 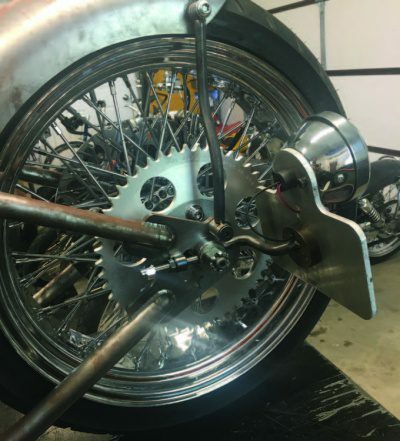 The Grease Gears & Garage tour is bringing a whole new slew of demos, tech sessions and reviews to the masses. I’ve had the great pleasure of being a part of the tour on a few occasions and it’s a bitchin’ time for sure. There’s so much you get to see and learn from the cats who know what’s up and how to do it. Knowledge is an invaluable commodity, and it’s free, so you can’t beat it. It takes a great deal for the crew to do what they do to bring a show of that magnitude to the masses and I for one am extremely grateful for all their efforts. 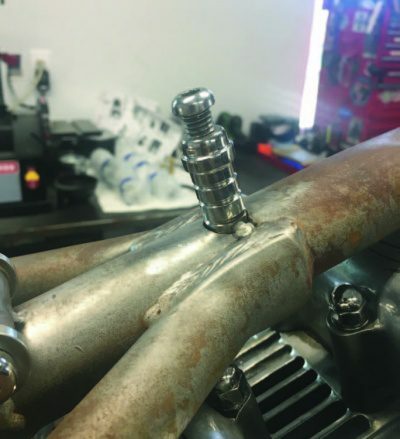 If you’re at one of the many events this year that Grease & Gears Garage tour is making a stop at, be sure to check them out and just maybe you’ll learn something new. For me, being able to do as much as I can on my own is the most important thing I will take away from this build. Like drumming, I’ll never know it all and honestly, I never wanted to, just being able to do what I can and enjoy it is my goal. It’s the same with prior and current projects. As long as I keep learning, the sky’s the limit. 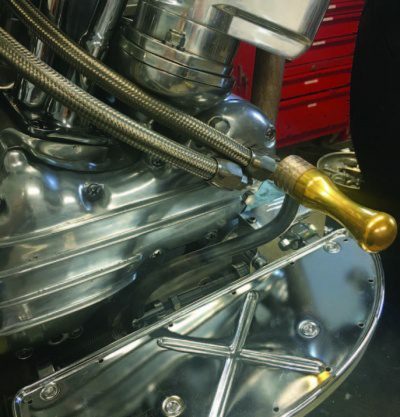 I’m getting closer and closer to the finished mockup of my ‘53 Pan for Michael Lichter’s “Passion Built” Motorcycles as Art exhibit in Sturgis this year. This build is as much a learning process as the last, not so much with the vision I see in my head, but more so with the patience factor that goes hand in hand with a project like this. Whether it’s waiting on parts or the time that ‘LIFE” and its demands takes away from actual hands on build time is an undertaking all its own. Maybe I should have called this “Patience” Ha…. I remember looking at a social media site a few weeks ago when I was in a good stride and seeing the other builders progress and thinking “wow I’m way ahead of that guy’’ or “ Dam I’m way behind that guy’’. Now I’m just gonna practice what my Producer used to say to me when I would get all in my head…“trust in the process’’. 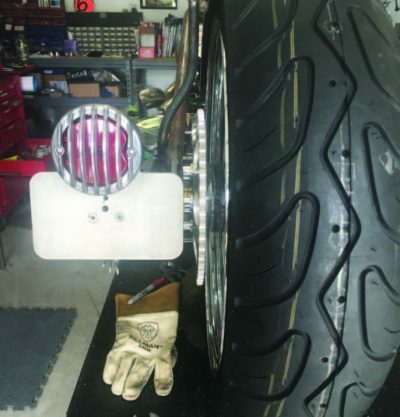 So that’s where I’m at right here right now… It will all be ok and I’ll let the bike speak for itself. Until next time Friends, Be Kind To One Another. This entry was posted in Lifestyle and tagged August 2018, Back Issue, Cycle Source, Cycle Source Magazine, Killin Time With X, lifestyle, On The Road, Xavier Muriel. Bookmark the permalink.